There are brown spots on my hydrangea leaves. 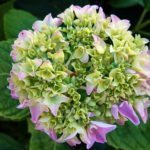 Various fungal spots can develop on hydrangea leaves and are normally triggered by too much or too little water. Spots also develop when hot sun strikes wet foliage. Water only when the soil is dry and use drip irrigation, if possible. 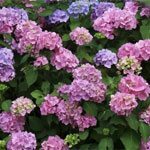 You want the water to soak into the soil and not get on the foliage, which can lead to these fungal problems. You can also retain soil moisture by using mulch. 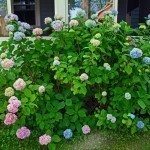 For the fungus, treat the shrub with a neem oil foliar spray.